Earlier this week, Square Enix had accidentally released information regarding a special pre-order promotion for fans who bought the game in North America. Now the pre-order promotion has been officially announced. Fans who purchase the game through select retailers will be able to get a commemorative pin of Sora and Mickey. You can check out the pin below along with the official box for the game. 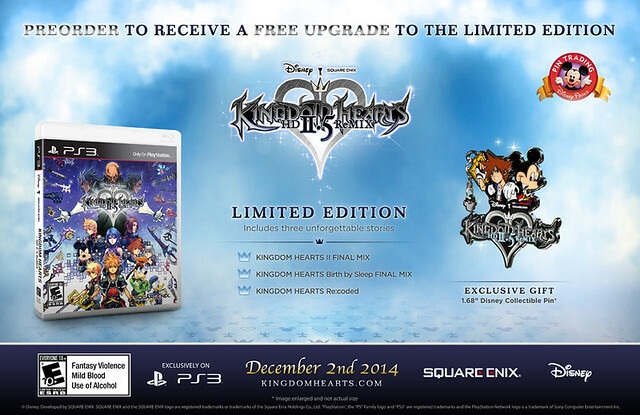 Kingdom Hearts 2.5 HD ReMIX will release on December 2nd in North America and December 5th in Europe.